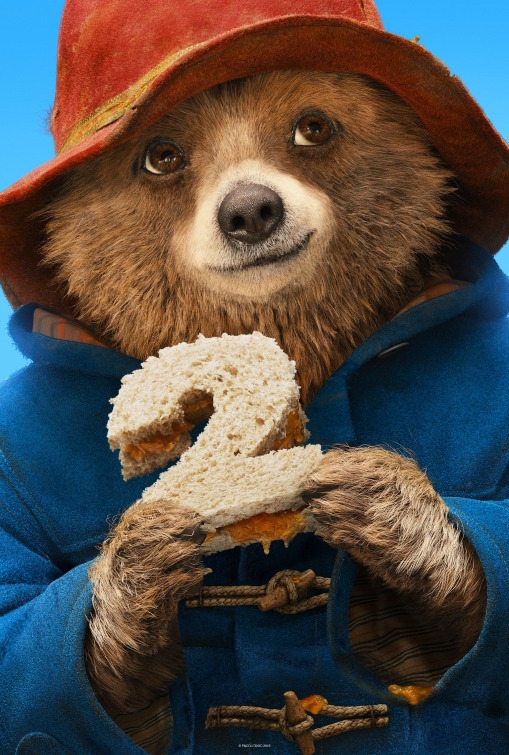 I was late to the party when it came to 2015's Paddington, an adaptation of the children's literature character as created by Michael Bond in 1958, that received glowing reviews and seemed to amass loving fans all over the world while remaining rather distant here in the States. Of course, I could have a misconception of how much attention the film received this side of the sea, but I don't know that I do. Paddington simply didn't seem to play in as many theaters and was certainly released much later stateside than it was in the UK. The run was so limited, in fact, I remember distinctly not being able to catch it during it's theatrical run, but instead buying it out of good faith on Blu-Ray and hoping for the best. I wasn't disappointed as the film was more or less what I expected: extremely pleasant and extremely cute. Director Paul King, who also helped pen the screenplays for both the original and the sequel, was able to craft a tender tale that seemingly captured the heart of the children's books it was based on while appealing to modern audiences all the same. Honestly, with all the positive word of mouth around the film I couldn't wait to see it and by the time I finally did I couldn't help but to agree with the fact it was a delightful piece of work; nothing especially exceptional by any means, but the best kind of example for the type of movie it was intended to be. With a budget of $55 million and a worldwide gross of over $265 million it seemed a no-brainer Studio Canal and its partners, including The Weinstein Company's Dimension division, would want another film in the series. And so, here we are, as Paddington 2 will continue to follow the adventures of the titular bear (again voiced by Ben Whishaw) this time having him face off against a thief who has stolen a book that is quite special to our Paddington. This first-look teaser doesn't give away too much by way of story, but it does feature plenty of shots of the newcomers to the cast including Hugh Grant, Brendan Gleeson, and Jim Broadbent. Hugh Bonneville, Sally Hawkins, Imelda Staunton, Peter Capaldi and Julie Walters all return as well with Paddington 2 set to open on January 12th, 2018.